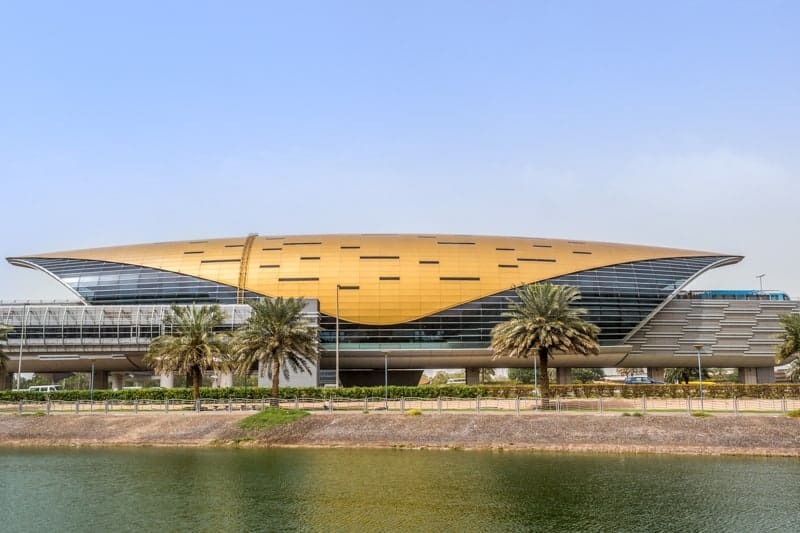 This Dubai Metro station serves the Mall of the Emirates, one of the most popular shopping malls in the city. It is on the Red Line. 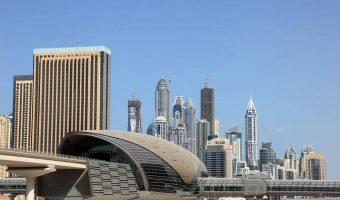 The Mall of the Emirates Metro Station is situated on Sheikh Zayed Road, between Al Barsha and Al Sufouh. A covered walkway connects the station directly to the Mall of the Emirates. 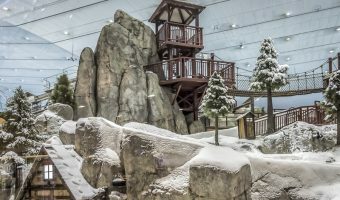 Attractions at the mall include Ski Dubai and VOX Cinemas Mall of the Emirates. Several feeder buses offer services to nearby areas. For example, service F29 goes to Dubai Production City (via Motor City and Sports City). Service F30 goes to Arabian Ranches, while service F33 serves Al Barsha. Adjacent stations on the Red Line are Sharaf DG and First Abu Dhabi Bank. 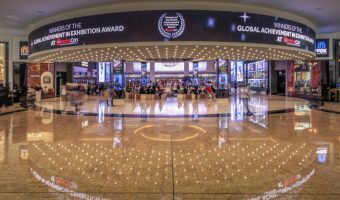 VOX Cinemas Mall of the Emirates (0.2 miles) - 24-screen cinema at the Mall of the Emirates. 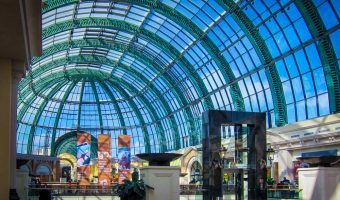 Mall of the Emirates (0.2 miles) - Shopping mall offering more than 500 shops, an indoor ski resort, a multiplex cinema, a theatre, plus a huge selection of restaurants and fast food outlets. Olea (0.3 miles) - Contemporary modern Arabic restaurant at the Kempinski Hotel Mall of the Emirates. Offers dishes from Syria, Jordan, Lebanon, Cyprus and elsewhere. Map showing location of Mall of the Emirates Metro Station. 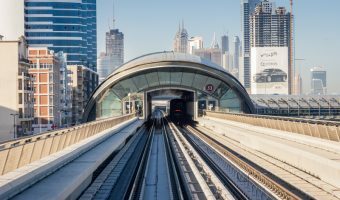 Guide to Sharaf DG Metro Station. 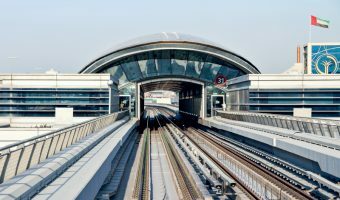 Guide to First Abu Dhabi Bank Metro Station.